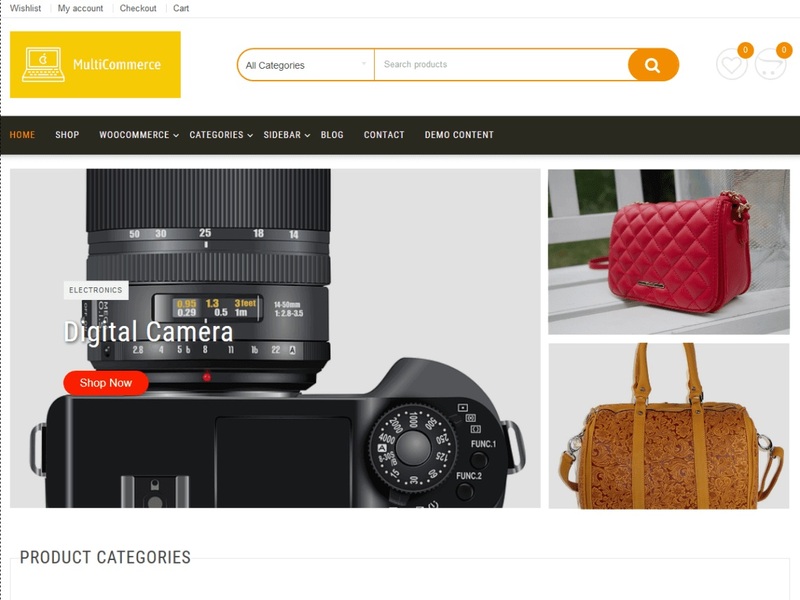 MultiCommerce is a powerful, dynamic and highly customized WordPress multipurpose e-commerce theme. MultiCommerce comes with a lot of features and highly customized options with advanced custom widgets to create all kinds of eCommerce websites. You can create a fashion store, sports store, men – women or children store, electronics store, food store, toys store, digital product and physical store or all in one store. This theme is design for fit to all type of stores and developed with WooCommerce and used latest technology(SCSS and GRUNT). This theme has, advanced header options, advanced footer options, advanced sidebar options, advanced slider options, featured category post, featured post page, sticky sidebar options, single post options, WooCommerce page options, sticky menu options, category menu options, advanced partners options, advertisement options and a lot of things. You can Use this theme for your e-commerce and blog website.